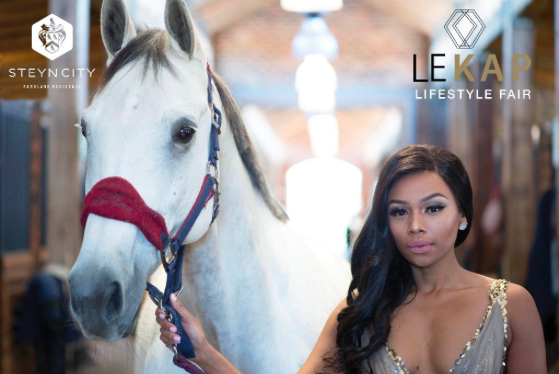 Le Kap Lifestyle Fair has announced that the queen of the SA red carpet, Bonang Matheba, will host the anticipated highlight of the ‘jet-set’ social calendar as it makes its début for the first time in Johannesburg after being hosted successfully in Cape Town for the past three years. Matheba adds her star power, as MC, to the opulent event, which offers a ‘best-in-class' experience with a rich tapestry of fashion, couture, fine wines, artisanal cocktail bars, delicious dining and picnic options, live music and entertainment, VIP lounges, a luxury BMW vehicle display, an equestrian ‘Speed Stakes’ and much more. “We are thrilled to have Bonang on board for this exciting collaboration between Le Kap Magazine and Steyn City and to host this sophisticated annual event, which is set to attract both local and international captains of industry, celebrity and VIP guests to Steyn City”, says Giuseppe Plumari, the CEO of Steyn City. This glamorous event is set to take place on the 10th of June at Steyn City, the sprawling 2000-acre multi-billion rand lifestyle resort.